Anne of Green Gables vs G.I. Joe - Friendly Fire Between Canada and the U.S. This is a light-hearted look at the differences (and similarities) between Canadians and Americans. 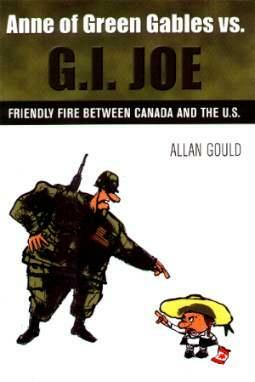 It's a case of "us and them" (it works both ways) as seen by American-born-now-living-in-Canada writer, Allan Gould. Basically we're all the same but there are some differences, as he good-humoredly points out. I enjoyed his comparison of the two national anthems and his Canadian-American dictionary. He touches a lot on the two different approaches to medical care, sports, and politicians and policies. Neighbors sharing a continent with many things that tell them apart. I enjoyed Mr. Gould's sense of humor and hope he comes up with more offerings in this vein. Observations is a sport I part-take in, and enjoy, and am happy that there is at least one other person out there who does too. Conclusion - Another great holiday gift this season.